Well presented two bedroom first floor flat. Situated in the popular location of Carrington which has many amenities and excellent bus routes. 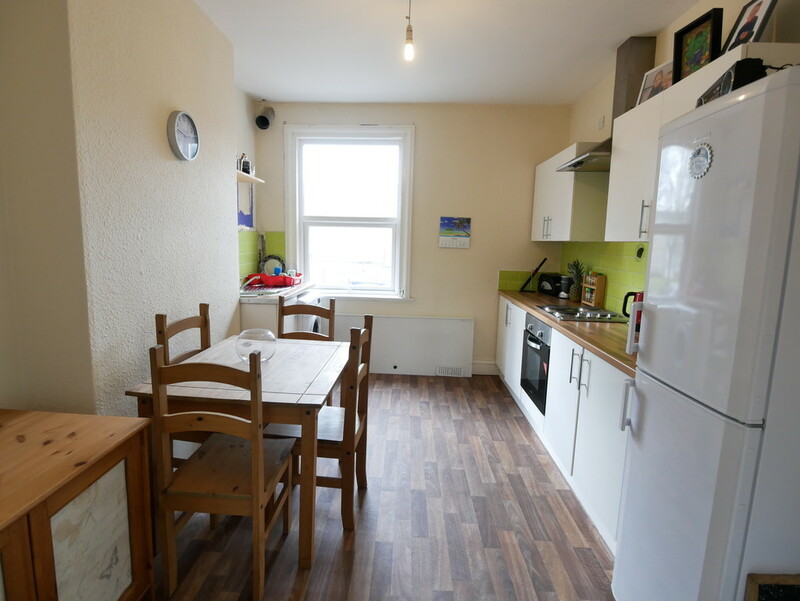 Two double bedrooms, a sizable living room and kitchen/diner would make this an ideal property for a couple who need to commute to the City Centre. Positioned over the ‘Doctors Orders’ call now to arrange your viewing. LOBBY Stairs to the first floor. HALLWAY Radiator, stairs to second floor, doors to the living room, WC and to the bathroom. LIVING ROOM 16′ 6″ to the back of the chimney breast x 16′ 5″ to the maximum point (5.03m x 5.01m) Window to the front, radiator and door to the kitchen. KITCHEN/DINER 12′ 11″ x 10′ 1″ into recess (3.95m x 3.08m) A modern kitchen comprising of wall and base units with a work surface over incorporating a sink unit with a stainless steel mixer tap. Space for a fridge/freezer and washing machine. Radiator, recently installed wall mounted boiler and a window to the rear. WC Low level WC and opaque window to the side. BATHROOM White fitted bathroom suite comprising of a bath with an electric shower over, wash hand basin, radiator, built in cupboard housing the hot water cylinder, window to the rear. SECOND FLOOR LANDING Access to loft and to both bedrooms. BEDROOM ONE 16′ 5″ x 14′ 4″ both measured to the maximum and into recess (5.02m x 4.37m) Window to the front, built in shelving and a radiator. BEDROOM TWO 13′ 1″ into recess to the maximum x 13′ 0″ (4.00m x 3.97m) Window to the rear and a radiator.